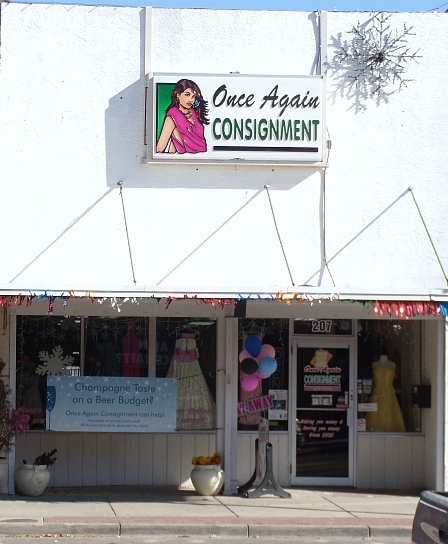 Molly shows us where her banner is displayed on Once Again Consignment’s shopfront. 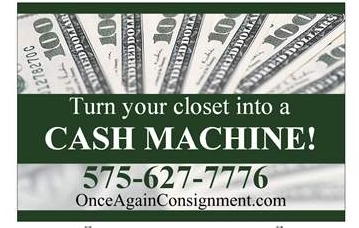 About your consignment, resale or thrift shop getting noticed from the street. . .
Molly, owner of Once Again in New Mexico, sent examples of the banners she uses to great effect. So here they are! Need more incoming? This banner at Once Again draws them in! 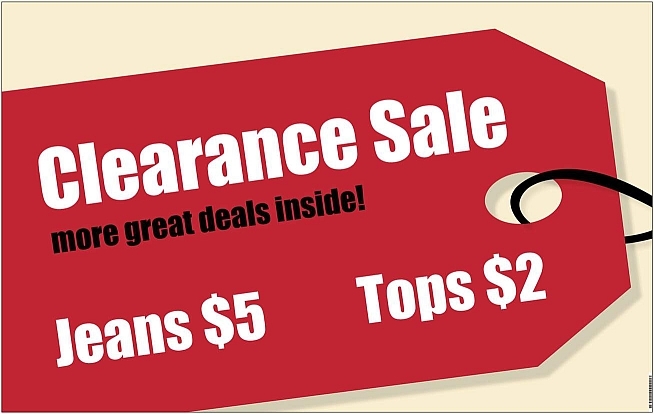 Could a sale banner be any simpler? When in doubt…tell ’em WHAT you do and WHEN. One thing to check out before posting a banner, be sure your local code enforcement does not prohibit them. In our area in Indiana, we cannot use banners of any type, nor yard, sidewalk, swing signs. Would hate to see some one have a great banner all paid for and then get cited and fined. Take care and happy selling. People love deals and incentives like these banner show! 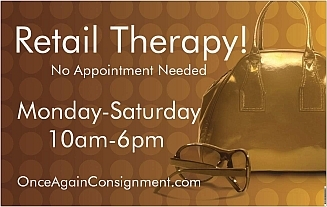 Way to go Kate and Once Again Consignment!